The legal process involved in filing a personal injury lawsuit may deter some people from seeking damages regardless of the severity of their injury, but, having an idea of what you can expect at each stage of the process can help you determine if legal action is the appropriate route to take in your particular situation. An experienced personal injury attorney can counsel you as your case develops, and fight for your rights in the courtroom if necessary in order to achieve the outcome that's most favorable to you. Regardless of how you were injured, there are certain steps that everyone who is in an accident or has been injured in some other way should take if they think they may have a personal injury lawsuit. The tips below provide an outline of what to keep in mind in the days, weeks and even months following your injury to ensure your potential personal injury claim is on solid legal ground. 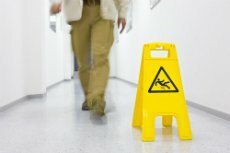 A variety of situations can lead to injury, such as a slip/trip and fall, a car accident, a defective product, or a dog bite, among many others things. Following the suggestions below can help protect your right to file a claim for your injury in the near future, and will likely allow the filing process to run more smoothly than if you don't take these early preparations. Take notes on all the details of your injury. These don't have to be formal statements, just jotting down everything you can remember about the circumstances immediately before, during and after your injury can be a big help when it comes to filing your claim and jogging your memory. This sort of anticipatory preparation could mean the difference between your claim being invalid and you collecting all of the benefits to which you are entitled. It's even important to write down the conversations you had with others who may have been involved in the accident or injury claim, even if they were just a witness. Make sure that your physician or the hospital you visit for your injury notes the circumstances surrounding your injury in their records. If possible, take pictures of your injuries and the scene of the accident as soon as you can following an accident or injury. Focus on any visible cuts, bruises, burns, swelling or other marks on your body. Don't just take one picture, make sure you capture the injury and the scene from a variety of angles. This approach will hopefully result in some detailed pictures you can later present to the insurance company as evidence supporting your claim. Medical records can be an integral part of your claim, and have the power to make or break your case. Whether your medical records just serve to help you seek medical treatment from a specialist or if you need them to support your claim that your injuries were in fact caused by this accident and not a pre-existing condition, it's important to contact your physician and get copies of all records that may be pertinent to your case.